DELRAY BEACH, FL. 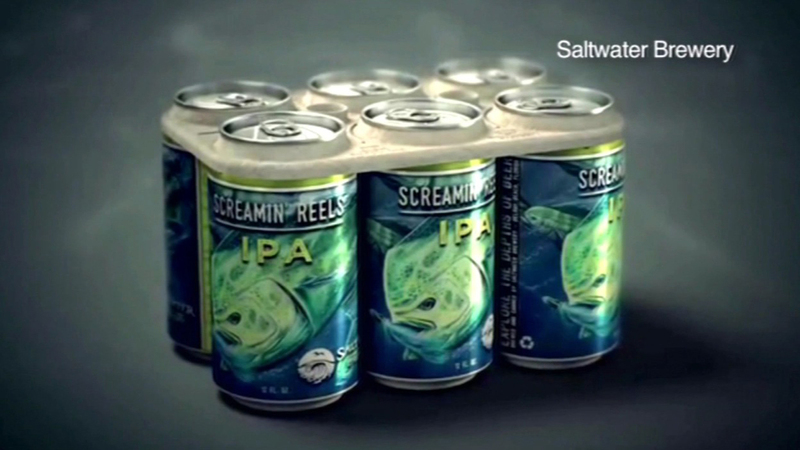 (KGO) -- A brewery has come up with an alternative to the plastic six pack rings that endanger marine life. Saltwater Brewery of Delray Beach, Florida has created a holder that's edible. Instead of killing animals, the inventors say it feeds them. The brewery says it's made from beer by-products and is 100 percent biodegradable. The brewery is testing it out the six packs in the Delray Beach area, but hopes to manufacture more than 400,000 in the near future.